Thank you. And, while I know this is going to be tough for a while, I'm thinking and hoping we can - SOON - quit putting the pressure of one of the best setters in the country on the shoulders of whomever of the 2 - Allison & Brown - end up setting for us. Let them compete in practices for the #1 spot, and NOT feel they have to be another JP. That's not going to happen - even if one turns out to be a great setter down the line, she will be her "own great". Let's give them a break, quit the pre, pre-season comparing, and just enjoy what it looks like we might have for the next few years. I'm excited to see these 2 young ladies duke it out, and also excited to see Hinton, I believe, coming in early. Know what that did for Brandi and the Illini. Sure great when you can find the great athlete and student that's taken care of academics a semester early. Holzman, Collins, Holliwell or Bruna at OH 2, Beth & Megan at OPP, Quade at OH 1. a 6-2 would be easy. Hollowell looks to be at least 6'5" now, long arms too. Does she have any vertical at all? Is she on 4 year scholie? I’d be really surprised if MA doesn’t run a 5-1. She did all last year. I understand she’s coming home, but if she’s as competitive as we hope, she wouldn’t have come without assurance that it’s her show. You can pretty much bank on it. Stats are nice, but context matters. 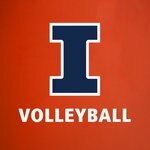 Tamas is a good setter coach and Mica will have much better firepower around her in Illinoisthan she did at Auburn. Setting as a true freshman is tough for just about anyone, but she has a lot of experiential lessons to build on that Brown doesn't have, most fundamentally, understanding the speed of the game and how much information needs to be processed quickly under live bullets. Brown playing against Illinois's side A might have prepared her better than Allison setting against Mississippi State (and losing). Zero chance Allison isn't in a 5-1 for the rest of her career at Illinois. She's better than Poulter in some respects, in my opinion. She's a great mix of athleticism, control, technique, charisma, and moxie. My concern for next year's team is chemistry. With 12 returning players and eight or more newbies, Tamas and staff will have 20 or more (math is the wrong side of my brain) squad members. Four of the returners will be seniors. The most vocal senior with proven leadership qualities is Beth Prince. She will be a 5 year member of the squad, and I think will be heavily relied on by the coaching staff to bring the old and new Illini together. Illinois may have to come up with a more appropriate motto for next year's team than Nebraska's "We Over Me". Something as simple as "TOGETHER!". It should be obvious to anyone who knows anything about collegiate volleyball that Coach Tamas and staff can teach great volleyball technique and strategies. They will show us next season if they can integrate 20+ individual women into one cohesive, goal-directed team. Ok, I'm a professional mathematician...don't try this at home. The 2018 roster had 15 players. 3 graduated, leaving 12, carry 1 transfer, plus 4 new recruits (Hinton, Holzman, Swanson, Collins), and maybe late add Bruna...makes 17 maybe 18. I have more...but I'm keeping a few in reserve just in case the Nebraska fans try to steal any of the above and just substitute an "N" for the "I". ALSO...I was including Bruna and perhaps one more walk-on who wants to be part of the juggernaut that is Chris Tamas' Illini! Actually, Bastianelli's block assists would go down because nobody with any talent and half a brain would hit at her while next to a much weaker blocker on the outside.